The following men were lost while serving on USS S-44 (SS-155). For a brief history of the boat, please see The Loss of USS S-44. The following USS S-44 crew members survived Prisoner of War camp. 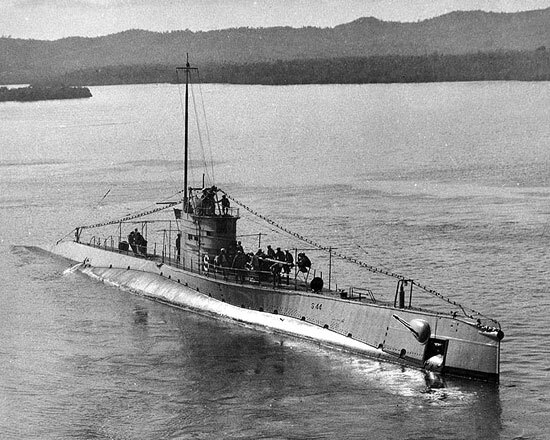 Some sources, notably the 1963 edition of U. S. Submarine Losses - World War II, mistakenly omit Daniel Benjamin Erico from their lists of men lost with USS S-44. Please see our "Discrepancies in Numbers of Lost Submariners" page for further information on this and other errors regarding the men of USS S-44. to the State of Illinois.